An association of persons or a body of individuals. Non-corporative taxpayers whose accounts are to be statutorily audited. Chargeability to tax also depends upon the residential status of the assessee and the citizenship of a person. It may be noted here that productive assets like shares, debentures, bank deposits and investments in mutual funds are exempt from wealth tax. The non-productive assets include jewellery, bullion, motorcars, aircraft, urban land, etc. 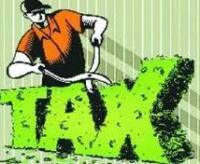 Foreign nationals are exempt from wealth tax on non-Indian assets.